If you have any questions about the GOF information page below please contact us. 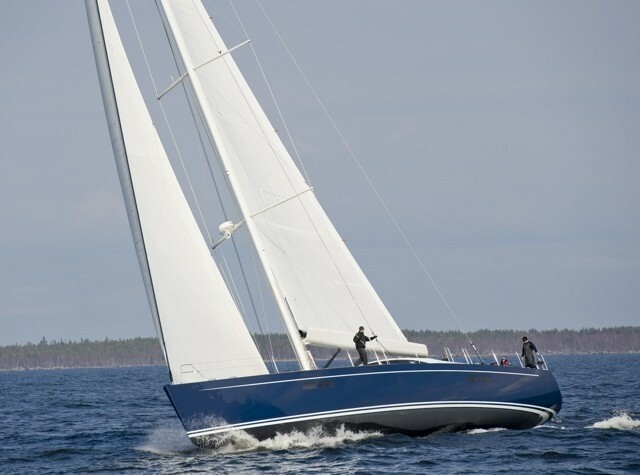 Sailing Yacht GOF is a Baltic 83 performance cruiser launched in 2012. 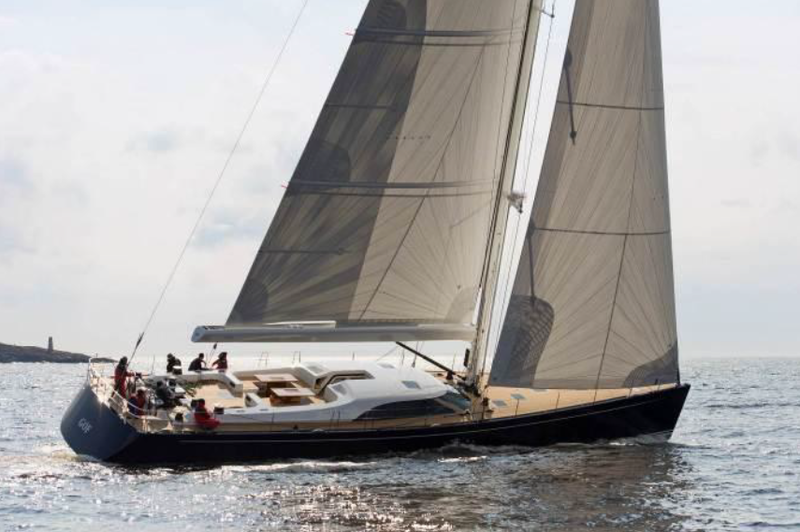 Superyacht GOF was primarily designed for warm-water sailing as well as long distance passages, offering great performance and is designed to perform well in an occasional regatta. 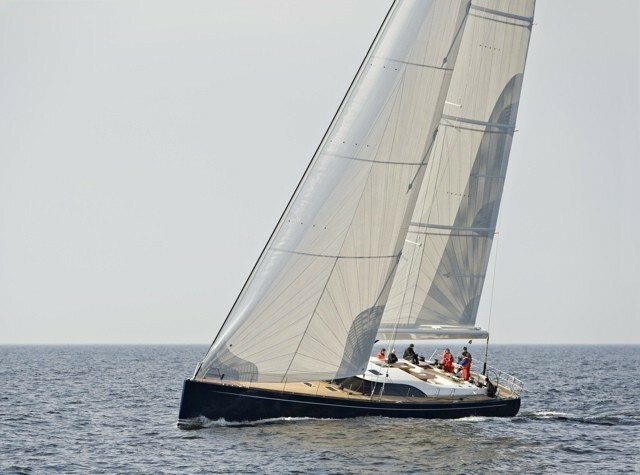 The Baltic 83 yacht GOF was designed by judel/vrolijk in close collaboration with Baltic Yachts' in-house design team and a strong input on the interior design by the Owner. 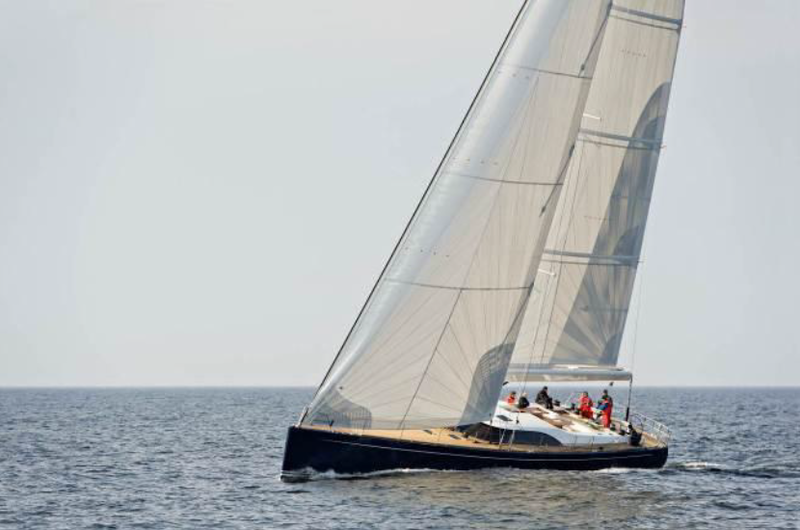 This high performance, yet low-maintenance yacht is robust and reliable, with a hull in fibre-glass aramid with carbon stiffeners. Her carbon rig on the other hand, was fitted with nitronic rod rigging for the ultimate reliability. 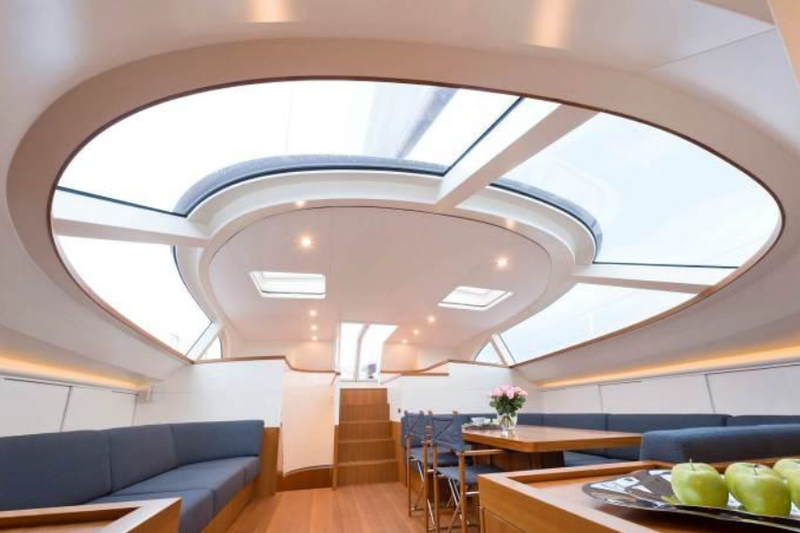 Interior of the Baltic 83 sailing yacht GOF features nice open spaces with minimal furniture. The owner's cabin is located forward of the mast, which is particularly large for a yacht of this size. 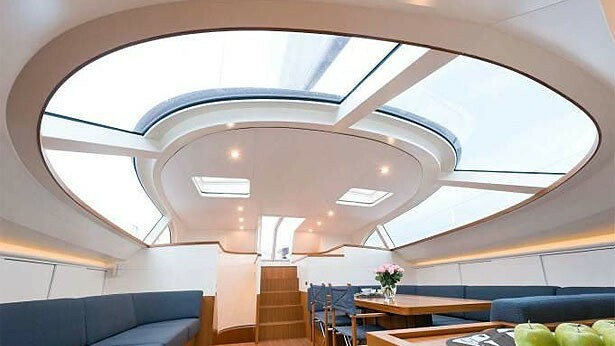 The salon is situated above the engine compartment to the additional height provided by the deckhouse. Just to the aft of the saloon there are the two additional guest cabins. The two crew cabins found their place furthers aft, together with the galley and the nav station. 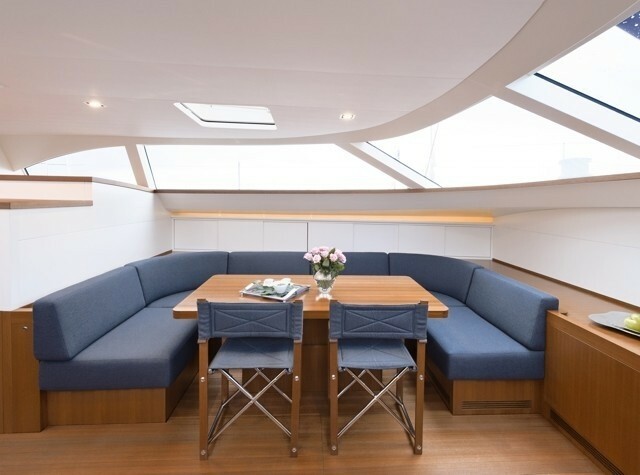 GOF provides a light and spacious atmosphere, thanks to her white ceilings coupled with half-height panels of teak. While storage units in the interior have been kept to a minimum, the boat itself has been equipped with large storage tanks, in keeping with the Baltic 83’s ambitions to be a high-range boat, capable of crossing oceans without need for replenishment. 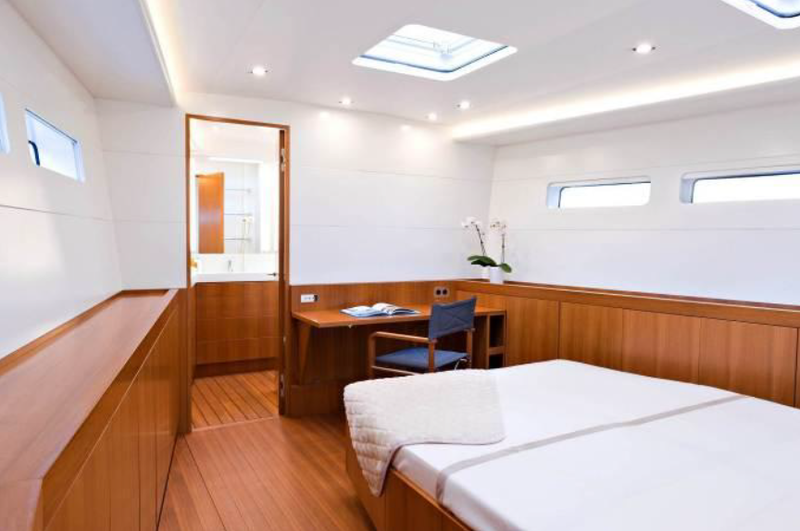 We do have available further accommodation information for yacht GOF, so please enquire for more information. We do have available further amenity, owner and price information for the 25.38m (83'20'’) yacht GOF, so please enquire for more information. 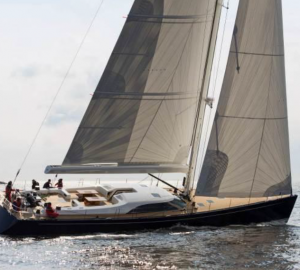 The luxury yacht GOF displayed on this page is merely informational and she is not necessarily available for yacht charter or for sale, nor is she represented or marketed in anyway by CharterWorld. This web page and the superyacht information contained herein is not contractual. All yacht specifications and informations are displayed in good faith but CharterWorld does not warrant or assume any legal liability or responsibility for the current accuracy, completeness, validity, or usefulness of any superyacht information and/or images displayed. All boat information is subject to change without prior notice and may not be current.